First thing that comes to mind when I think of Tomiko is her natural beauty and bubbly personality. 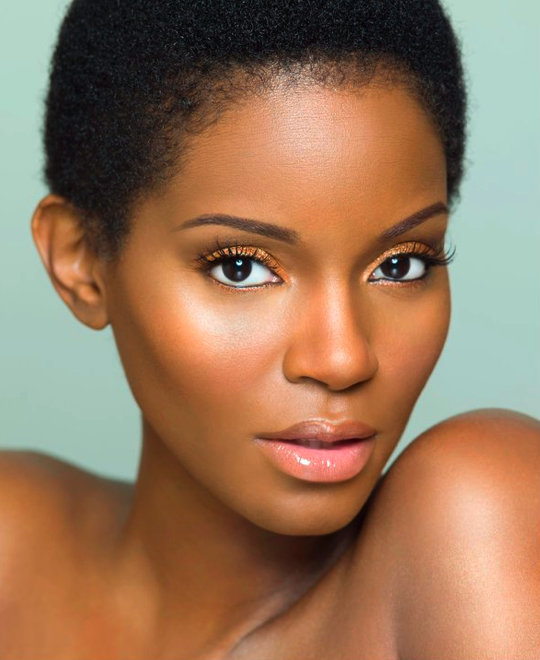 The first African-American model representative for Maybelline Cosmetics and has been the longest-serving spokesperson for any cosmetic brand. This beautiful goddess has also been featured in Vogue (USA), Flare and Seventeen Magazine to name a few. She is also known in the natural community and a natural inspiration for both new and experienced natural women around the world. Tomiko has definitely been a role model for many ladies young and old with her Goddess Project dedicated to empowering women in all aspects of their lives. Maybe she REALLY is Born With IT!! I am an empowered work in progress. I love myself unconditionally. I allow myself to say “Yes” or “No” without guilt or shame. I am equal parts little girl and grown woman. I love every single thing about my husband. I proudly proclaim my age of 44. I can dance to house music for hours. I have been natural for over 10 years, though I’ve worn wigs and weaves during some of that time. So, what made you decide to do the big chop? I chose to do the big chop because I got tired of doing my hair, which had grown into a beautiful big ‘fro. Plus at the time (2 years ago), I was seeing so many beautiful women with teeny weeny afros and I just went ahead and cut my hair off. I never regretted it for a second. How has your natural journey been like so far? I have experienced all one can experience with my natural hair journey. When I was first “forced” to wear my hair natural due to severe breakage because of over-processing, I was devastated. Mind you, this was over 10 years ago and I (nor the public) were as evolved and accepting of natural hair as we are now. Now I wouldn’t trade my natural hair for anything. I am absolutely in love with my hair. I love how it looks. I love how it feels. I love everything about it. Congratulations on your twins!! Have you noticed any changes to your hair since becoming pregnant? Thank you! Yes, my hair is growing very quickly and it’s definitely much thicker. I’ve trimmed it a few times during my pregnancy, but just recently chose to let it grow out. I’m telling it here first….I’m bringing my ‘fro back!! I plan to wear 2-strand twists during the tail-end of my pregnancy and for the first few months after the boys are born. And when I take them out, I expect to have a head full of hair once again. I’m looking forward to it. I’ve worn my hair short for almost two years and I’m ready for a change. 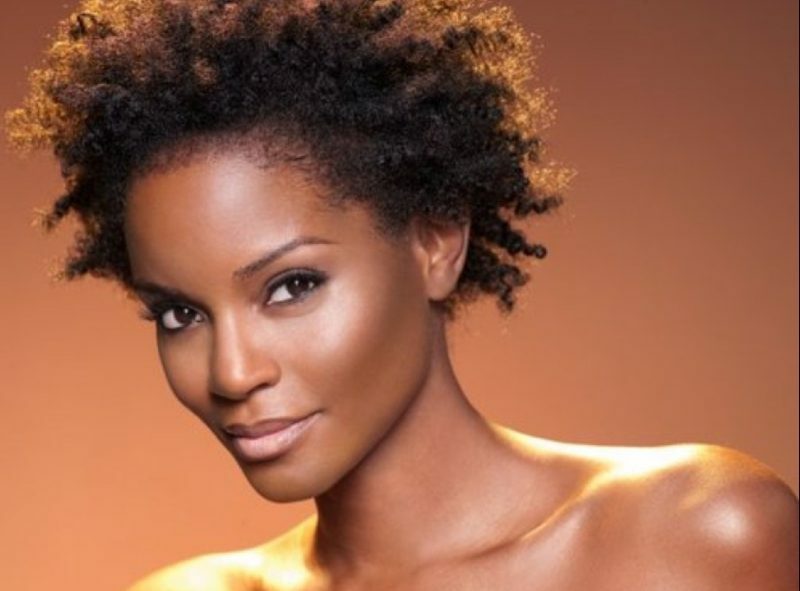 Who is your natural hair inspiration? I am my own natural hair inspiration. I value the journey I’ve been on with my natural hair and am absolutely thrilled with where I am now with it. It wasn’t always an easy journey, but I’ve learned a lot about myself through the process. And it’s partially because of my hair journey that I am as empowered a woman as I am now am. Right now, I am a “wash/wet & go” kind of girl. And it’s been great having that ease with my hair over these past two years. I am currently using Komaza Care’s “Coconut Curl Pudding” every day. I wash or wet my hair with Shea Moisture’s “thickening” shampoo and conditioner, and then saturate it with the curl pudding. I then “palm roll” it to bring out my natural curls (a technique I learned from my good friend, hairstylist and natural hair guru, Felicia Leatherwood) and let it air dry. It’s quick, easy and I love the way my hair looks. I love how it feels. It’s healthy and thick. When I used to get it relaxed, it was always thin and would break easily. I’m thrilled to know that my hair, in its natural state, is so healthy. I’d advise those considering going natural for the first time or going back to wearing their hair natural to make sure they’re doing it solely for themselves and that they’re as confident as they can be in their choice to do so. If they look to others for approval or agreement, they are bound to get a myriad of replies. Some will love it, and some will hate it. But all that should really matter is that the woman loves her hair no matter what anyone thinks or says about it. Where can we find you? Blog, Youtube, Twitter, Facebook etc.